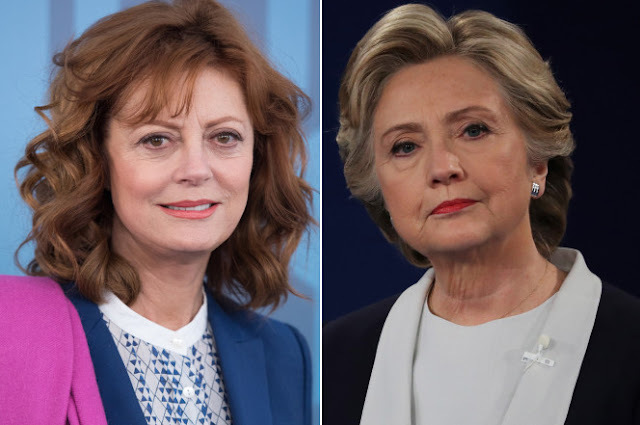 Actress Susan Sarandon called former presidential candidate Hillary Clinton “very dangerous” Sunday — and said the United States would be at war had she won the 2016 election. The vocal Bernie Sanders supporter slammed Clinton as”not authentic” and an “opportunist” in an interview with The Guardian. Sarandon had said in June 2016 that she believed Clinton’s foreign-policy background made her a greater risk to national security than Trump. Yet the 71-year-old appeared to back-pedal on that statement with The Guardian. “Not exactly, but I don’t mind that quote,” she said when asked about the comment.